Do you have tiny ears and frustrated with ear buds falling out and ear pain? AGPTEK Earphones are what you’ve been searching for. Here is the reason why you choose AGPTEK Earphones. High quality audio signal transmission ensure outstanding Hifi performance. The sound comes out is loud and clear. Strong stereo makes the beats more energetic and activate you in sport. 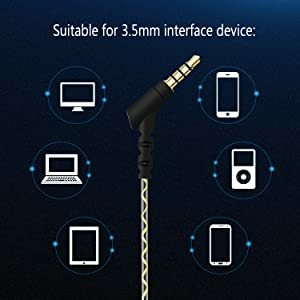 Start to enjoy live concert-like music with these stereo in ear headphones! In ear angle is specailly design to get secure fit. The loop over the ear wire is gentle and fits around the ear. It keeps the workout headphones in place even while sweating. You don’t have to adjust the slipping out earbuds in your run. No interrupt to your gym workout any more. IT is also light weight and comfortable workout headphones. Sometimes you will even forget you are wearing them. 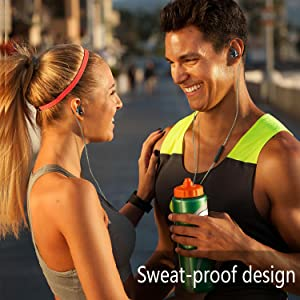 They are sweat proof and good exercise headphones for running, jogging, weight lifting etc. 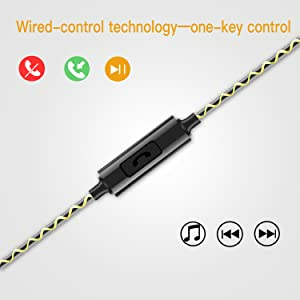 The cord is long enough to have your device in an pocket, or in front of you on the treadmill without feeling constricted. 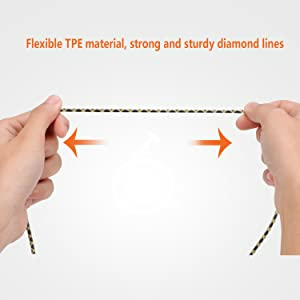 It is also thick and tangle free. These are sports earbuds with microphone and remote. You can answer a call with your phone in a arm case whiling working out. The in line button allows you to control the music track in your run conveniently. Sweat-proof headphones provides increased durability and long-term wearing comfort. They are sweat proof and good exercise headphones for running, jogging, weight lifting etc. We just want your happy experience. hang up the phone play/ paise music. Press 2 times to switch to next songs. Press 3 times to switch to previous songs. Musics Player, Computer, Laptop, Tablet Devices . from TPE materialanti-wrap and sweat-proof. the long usage in the daily life.